Dune! 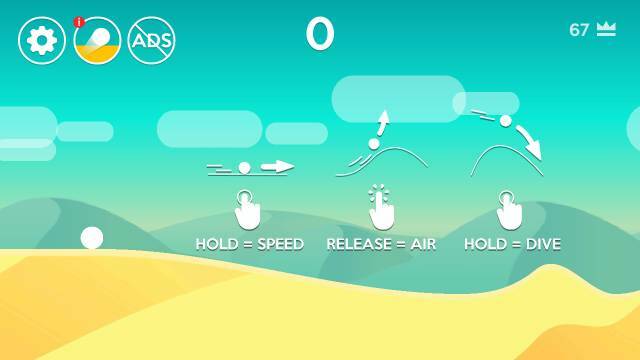 also known as Dune - Ball Jump is a simple endless runner style game with the only control being the speed of the ball. Mastering the control however to keep your run going is not easy. The game features a variety of different ball styles and backgrounds. We have here a guide to unlocking all the different items and answers for some of the most popular questions. The guide is being updated regularly so check back for more help or ask your question on the 'Answers' Page above.